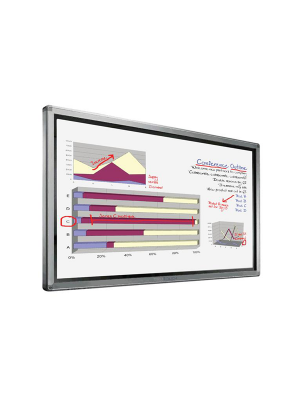 The simple and elegant state-of-the-art MimioDisplay 550T is a 55” interactive touchscreen display that offers an HD 1080p LCD display with LED backlighting make your lessons more visually appealing and memorable, even in large classrooms. With MimioDisplay 650T interactive touchscreen, students can work together on the large touchscreen display at the front of the room with up to six single-point touch users or three dual-touch and gestures users can work simultaneously with Touch 360° technology, resulting in high level of engagement and interactivity. All right Manny! We're gonna take a look at MimioStudio which is the software that ties all those tools together. So the heart of MimioStudio is the MimioStudio notebook. So I'll watch this guy here. And what I'll do is I'll show you one of our sample lessons. I'll open up the MimioStudio gallery. Now I can just take this lesson and drag it in it's down the gallery. Okay so this is a lesson on special senses of animal organs. And we'll skip over the instructions and we'll hop over to one of the activities we have here. So can when you smell a pizza baked in the oven, what organ would you use? Q: Why are Drivers necessary to install in MimioDisplay 550T Interactive Touchscreen Display? A: The drivers need to be installed to allow the display to calibrate and use Touch on Mac, Linux, and Windows XP operating systems. For Windows 7 or later, however, the built-in Calibrate feature under Tablet PC Settings can be used. 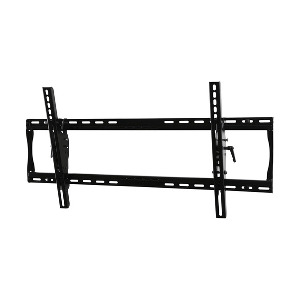 Q: Can MimioDisplay 550T Interactive Touchscreen Display support multiple users? A: Yes, as the 55T Touchscreen display comes with the ability to perform 6 single-point or 3 dual-touch simultaneous gestures, multiple users can work together at the same time. Q: Can MimioDisplay 550T be used in a classroom filled with kids? 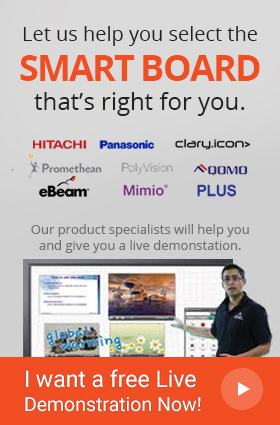 A: In terms of durability, MimioDisplay 550T Interactive Touchscreen Display is one of the best options currently available in the market as the screen display is made from robust and sturdy glass material which should completely eliminate any concern regarding students accidently damaging the Touchscreen. Q: Does the device have a specific feature which makes it a better alternative for schools? A: MimioDisplay 550T Interactive Touchscreen Display comes with MimioStudio software preinstalled within its system that has all the features needed to properly facilitate teachers and help them to provide students with an interactive and engaging lesson. Furthermore, the device is compatible with several other MimioClassroom and even has an assessment app! Q: Can 550T Interactive Touchscreen only recognize touch commands through a Stylus? A: No, MimioDisplay 550T Interactive Touchscreen Display can recognize touch commands through finger, Stylus and other solid objects.